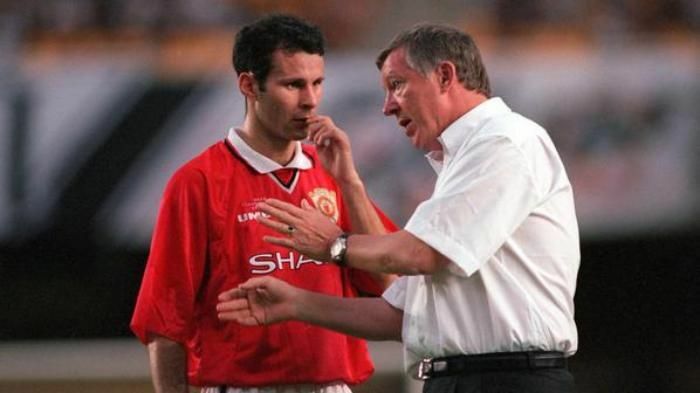 Former Manchester United manager Sir Alex Ferguson has lent his support to the club's legendary winger and current assistant manager, Ryan Giggs, to take over the managerial reins of the club at the end of Louis van Gaal's ongoing term. A day after Ryan Giggs' former teammate Rio Ferdinand put his weight behind the Welshman to take over as Manchester United manager from Louis van Gaal, Ferguson stated that Giggs didn't require any managerial experience at another club before taking the role at United. "I think Ryan has all the qualities to be a fantastic manager. I have heard it said that he will have to go to another club first because he doesn't have enough experience. But he is gaining experience working with Louis van Gaal," Ferguson was quoted as saying by the Mirror. "He also had experience working with David Moyes and working under me as a player. I don't think that Ryan needs to go anywhere." he further added. However, the legendary United manager remained sceptical about Van Gaal's declaration that he would retire in 2017. "Louis has said he will retire in 2017, but I'm not so sure. Once you get bitten by the bug at United, it is very difficult to walk away," he said. Ferguson's comments on Giggs will be of huge significance, especially on the back of Louis van Gaal's own admission that he wanted his current assistant to succeed him in the managerial role in future.